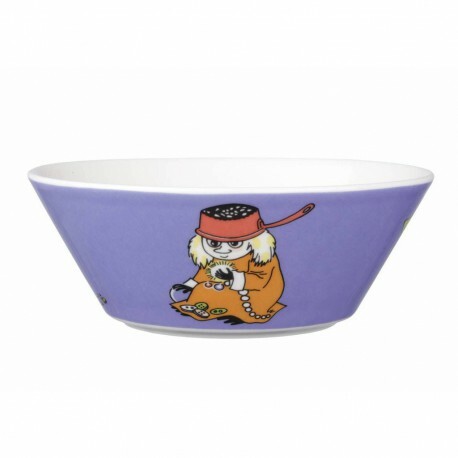 This lilac Moomin bowl by Arabia features the Muddler fascinated with his buttons. It’s wonderfully illustrated by Tove Slotte. The nephew of Hodgkins and Sniff's father. A rather untidy and confused individual who collects buttons of all sorts and lives in the coffee tin where he keeps the buttons. Married to Fuzzy.